Hey loves! Any of you tend to skip the toning step in your skin care regime? I used to skip until I actually realized how important the step to be part of our skin care regime. Of course, the first thing to check out is definitely your skin type in order to get the right toner that suitable to your skin type. You won't want to use products that can ruin or worsen your skin condition. 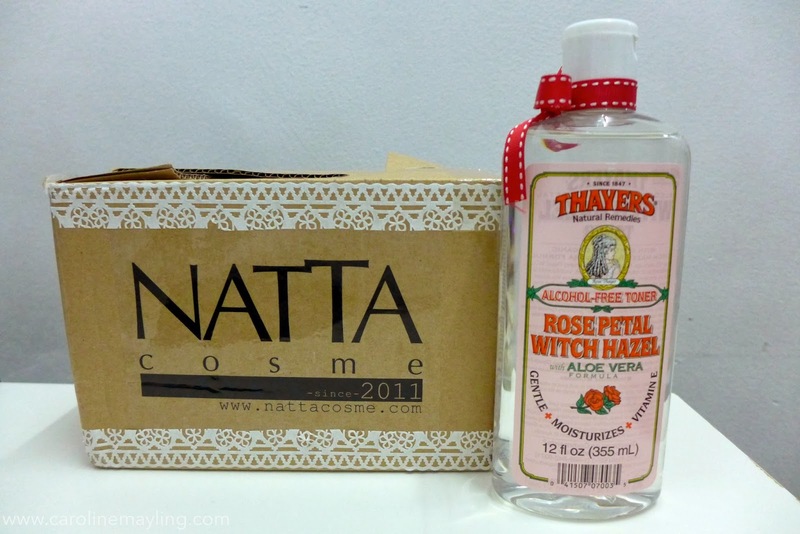 Thanks to The Butterfly Project Malaysia and Natta Cosme for the opportunity given to me to try out the Thayers Rose Petal Witch Hazel with Aloe Vera Toner. To be frank, I have never tried nor heard of this brand before, hence the excitement to try it out. WHAT'S INSIDE THE BOX? There's "Mission Cards" pack, a bottle of Thayers Rose Petal Witch Hazel with Aloe Vera toner, a packet of Lily Bell Lillian Puff by Suzuran and also a sample pack of Egyptian Magic Cream. "Across the trillion stars along the milky way, there exists a planet named Natta. The nation of the planet lived under an abominable rule where the people must never look the same. They must have their very own distinctive style and character. IF there ever existed people who look identical to one another, the authorities will dispatch these people to the one and only NATTA COSME." There's a few different ways to apply toner on your skin - by using cotton wool, by spraying it onto your face and by using facial mask. As for me, it will be depending on the type of toner that am going to use. For example, if it is in lotion form (mostly Japanese products), I will use it as a 3-minute quick face mask for better absorption. As for this toner, I will be using the facial puffs prepared in the box too. You must be wondering what's so special about the Lily Bell Lilian Puff by Suzuran. It is made of 100% cotton, superior cotton that is noticeably softer. 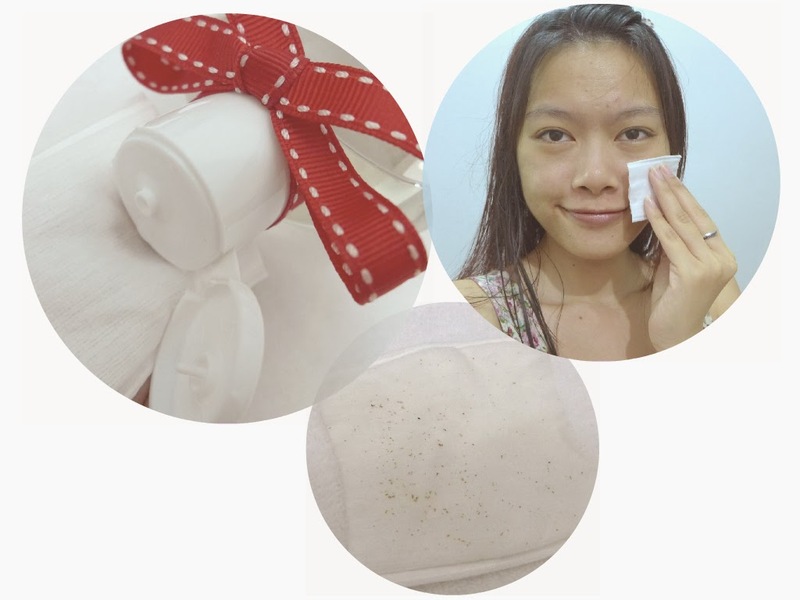 With this puff, it's not only reducing the usage of cosmetic products and can remove makeup and nail polish easily, but also absolutely no fuzzies left after use. WHY everyone should try the Thayers Rose Petal Witch Hazel with Aloe Vera Toner? It is an ALCOHOL-FREE toner. It is suitable for ALL skin type, especially normal to dry skin. It is made of extract from the Witch Hazel shrub (Hamamelis Virginiana) and a blend of other time-tested ingredients. It has natural treatments that cleanse, tone and soothe your skin. 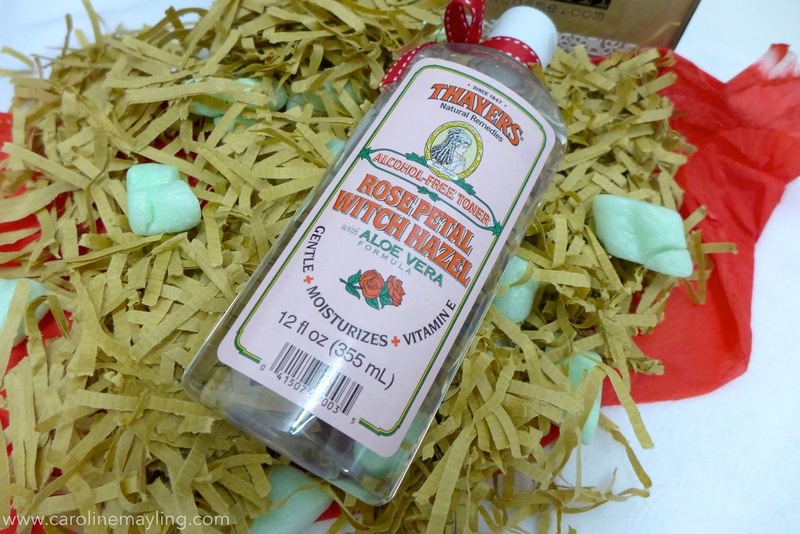 It is made of non-distilled extract from the Witch Hazel Shrub maintaining the highest levels of therapeutic tannins. Purified Water, Aloe Barbadensis Leaf (Certified Organic Filet Of Aloe Vera), Glycerin (Vegetable), Fragrance (Natural Rose) Hamamelis Virginiana (THAYERS® proprietary un-distilled Witch Hazel) Extract, Rosa Centifolia (Rose) Flower Water, Citric Acid, Citrus Grandis (Grapefruit) Seed Extract, Tocopheryl (Vitamin E) Acetate. I am not sure about you, I actually transferred some of the toner into the empty bottle with sprayer. I prefer it to be this way as it easier for me to control the amount of toner I need to use. 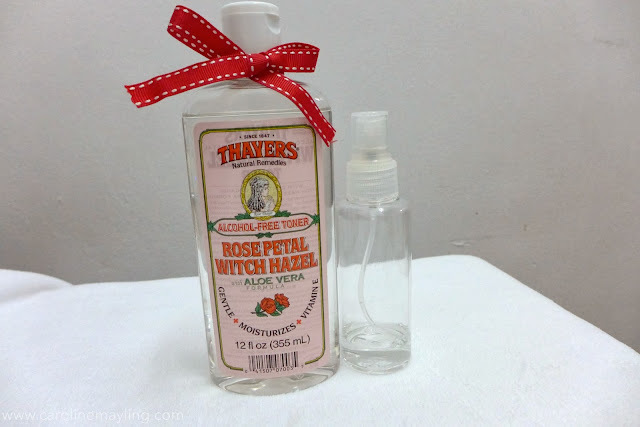 Sometime, I just spritz it over my face and love how it refreshes and moisturize my skin at the same time. After cleansed my face, I've tried it on my face and look at the amount of dirts (that's the bronzed skin after my laser treatment) that picked up from the cotton pads. It's not only removes the dirt that was missed out during the cleansing step but also left my skin with sufficient moisture. It certainly soothes my skin too. Never ever skip the last step in your skin regime - moisturizer. I've been admiring all the great reviews by beauty vloggers on how great the Egyptian Magic Cream works on their skin. I can't express how much joy in me the moment I unboxed it. The Egyptian Magic Cream is an ALL-NATURAL, multi purpose, healing skin and hair creme to benefit the entire family and pets too! It's also known as daily maintenance for natural skincare from head to toe. Trust me, a little goes a long way! The trial pack lasts me for almost 2 weeks and I was totally in love with how it moisturizes my skin too!